Iceland’s strong love of literature is a source of amazement to many people. In an era of declining book sales around the world, this small North Atlantic island continues to publish and sell more books per capita than any other nation. A tradition exists in Iceland that every person gets at least one book for Christmas, so Icelandic publishers release the majority of their titles in the few weeks leading up to the festive holiday. This deluge of new books onto the market is colloquially known in Iceland as “the Christmas book flood”. But why this strong literary tradition and love of books? Where does it come from? I am routinely asked that question, and my answer is always the same: the love of books and stories was bred into the Icelandic nation over centuries, through a cultural phenomenon known as the kvöldvaka. Literally translated, the word kvöldvaka means “evening wake” – not in the funeral sense, but in the “staying awake” sense. 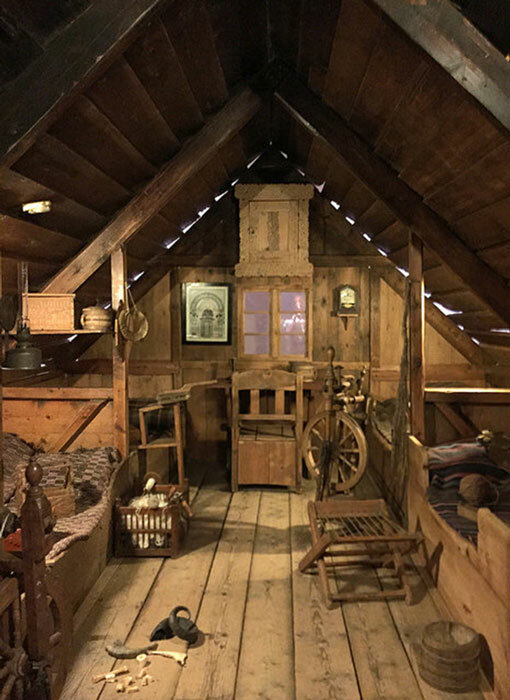 It was essentially a time in the evenings during the long, dark winters, when all the members of a household sat together in the communal living quarters of their turf farmhouses, a single room known as the baðstofa. In this room they lived, slept, worked, and effectively lived out their entire lives. During those winter evenings when it was impossible to labor outside, they worked the wool, sewed garments, made tools, or preserved food. The kvöldvaka was their way of entertaining themselves and each other while they worked, by telling stories, reciting poetry, playing games and so on, as well as reading from the scriptures at the end of the evening. Not only did the kvöldvaka provide escape from the daily grind by providing entertainment, it was also an important component in the education of children. They were taught to read and write, and learned a great deal about Iceland’s history and mythology, as well as the world in general, through the stories that were told and read. 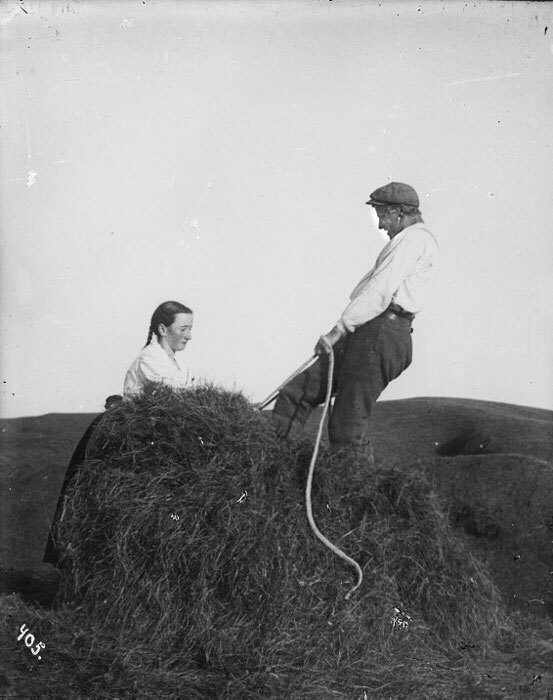 A typical evening on an Icelandic turf farm began with the so-called rökkurstund, literally “twilight hour”. This was a time when it was too dark to work without light, and before the lamp was formally lit in the baðstofa and the kvöldvaka began. It was used for rest, reverie, or quiet conversation. It usually lasted for about an hour, and when it was over, the lamp was formally lit. Most farms only had a single lamp in the baðstofa, at least initially, though in later centuries two or three lamps might have been available. The lighting of the lamp was ceremonious, given the preciousness of the fuel, usually fish oil, used for burning. Interestingly, it was almost always the mistress of the house who lit the lamp, or one of the female farmhands to whom she allocated the task. The lamp was lit only during the darkest time of the year, and then only from approximately six to ten pm, which was the usual duration of the kvöldvaka. It was placed so as to allow as many people as possible the benefit of the light. If someone was reading from a book, that person would sit next to the lamp. Every member of the household had some task to perform during the kvöldvaka. Both men and women were involved in the wool work, with men more frequently carding and weaving, and women spinning and knitting. Farmhands were permitted to work on their own tasks during the kvöldvaka on Sundays, and also in the week leading up to Christmas. Otherwise they were required to do work to benefit the farm and their employers. 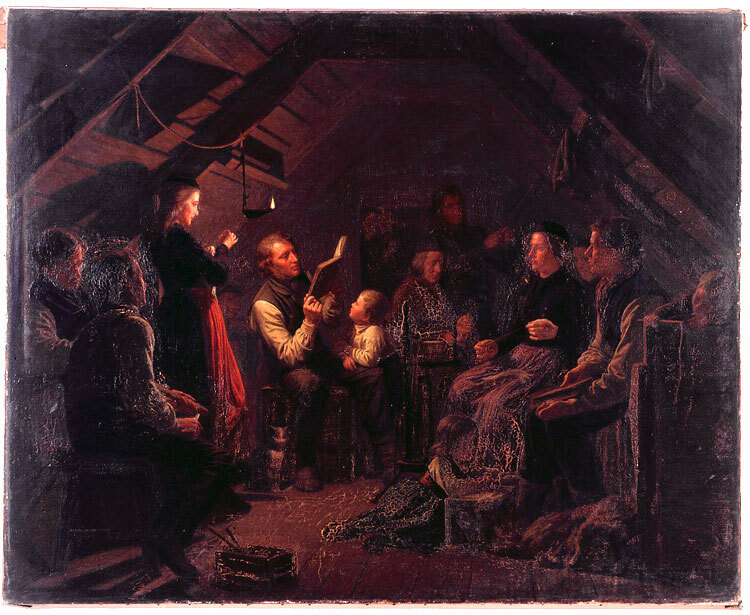 The activities or entertainment practiced during the kvöldvaka varied, but most often they involved the telling of stories, reciting of epic poetry in a sort of singsong fashion (called að ríma in Icelandic), playing word games, telling riddles, singing, or making up verses in a sort of competition, where each verse had to begin with the last letter of the previous one. The stories told were usually the Icelandic sagas or other national stories involving stellar acts of heroism, not to mention the ubiquitous folk tales featuring hidden people, trolls, outlaws, or ghosts. Sigurd and Fafnir ( Public Domain ). In legend, Fáfnir was a son of the dwarf king Hreidmar. After being affected by a curse, Fafnir became a dragon and was slain by Sigurd. Sometimes the storytellers would also wax lyrical about their own exploits. If there were guests or vagrants staying at the farm, they were generally encouraged to tell stories of themselves or others. Indeed, many vagrants who went from farm to farm were welcomed for their ability to tell a good story. In almost all cases, the kvöldvaka ended with the húslestur, literally the “house reading”, which consisted of someone – usually the master of the house – reading from the scriptures. This was a reverential time and everyone stopped what they were doing, or at least continued only with activities that could be performed quietly, such as knitting. The húslestur generally began and ended with a hymn in which everyone joined in, and when the reading was finished, the members of the household thanked the reader by saying “thank you for the reading.” In most households, the reader made no particular response, but in some cases he responded with either Guð blessi þig (God bless you) or góðar stundir (literally: “[may you have] good hours”). The kvöldvaka and particularly the húslestur appear to have been a significant component in the religious worship of the Icelanders throughout the centuries. The húslestur was practiced on the vast majority – if not all – farms in Iceland. In almost all cases it was more formal and/or longer on Sundays and other holy days, particularly at Easter. The duration of the kvöldvaka in the evening was primarily determined by the length of time that could be spent working outdoors, which in turn was determined by the amount of light available. Consequently, the duration of the kvöldvaka varied with the seasons. When it began in the autumn, the kvöldvaka was often measured by how long it took to comb a sheepskin. In early autumn, the kvöldvaka was “one sheepskin” long, as the days grew shorter it became “two sheepskins” long, and during the darkest hours it was “three sheepskins” long. On the occasional farm the kvöldvaka was also held during the summer, though it was generally of very short duration. The kvöldvaka as an institution continued well into the 20th century. Gradually, however, radio broadcasts began to take over as the primary provider of entertainment. With this, the nature of the kvöldvaka became fundamentally changed, and gradually it was abolished altogether. Yet its legacy lives on in the profound love of stories and storytelling among the Icelandic people. Alda Sigmundsdóttir is an Icelandic journalist and writer. Find her on Facebook or Twitter.